The Natural Sciences and Engineering Research Council of Canada (NSERC) has named McGill University astrophysicist Vicky Kaspi as this year’s recipient of the Gerhard Herzberg Canada Gold Medal for Science and Engineering, NSERC’s highest honour, in recognition of the excellence and influence of her research contributions. Prof. Kaspi is the first woman and one of the youngest researchers to ever win the Herzberg Canada Gold Medal. With major discoveries throughout her career in the study of rapidly spinning compact neutron stars called pulsars, Kaspi has a long list of recognitions and awards to her name, including: the 2015 Canada Council Killam Prize, election as Member of the American Academy of Arts and Sciences, the US Annie Jump Cannon Award, the Rutherford Medal from the Royal Society of Canada, and the Prix Marie-Victorin, Quebec’s highest honour for scientists. 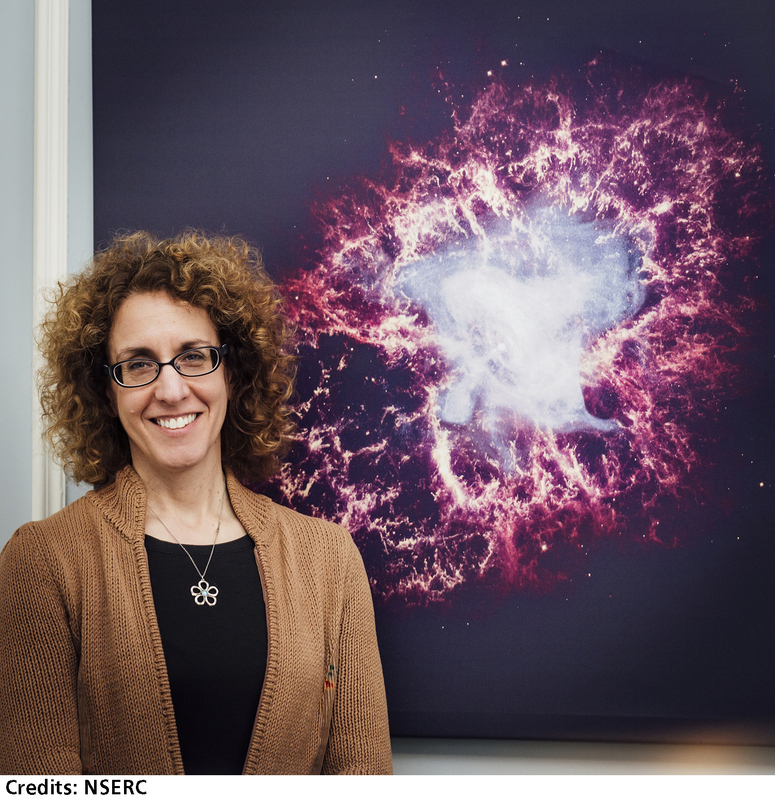 She holds a Canada Research Chair and the Lorne Trottier Chair in Astrophysics and Cosmology at McGill, where she is also the Director of the McGill Space Institute. The Herzberg award includes a grant of up to $1 million, distributed over five years, to use for personal university-based research or to direct in some related way, such as the establishment of research Chairs in the winner’s name at Canadian universities. NSERC also announced today that Prof. Elena Bennett, Department of Natural Resource Sciences and School of Environment, is the recipient of an E.W.R Steacie Memorial Fellowship. NSERC awards up to six of these two-year, $250,000 fellowships annually to enhance the career development of outstanding and highly promising scientists and engineers. 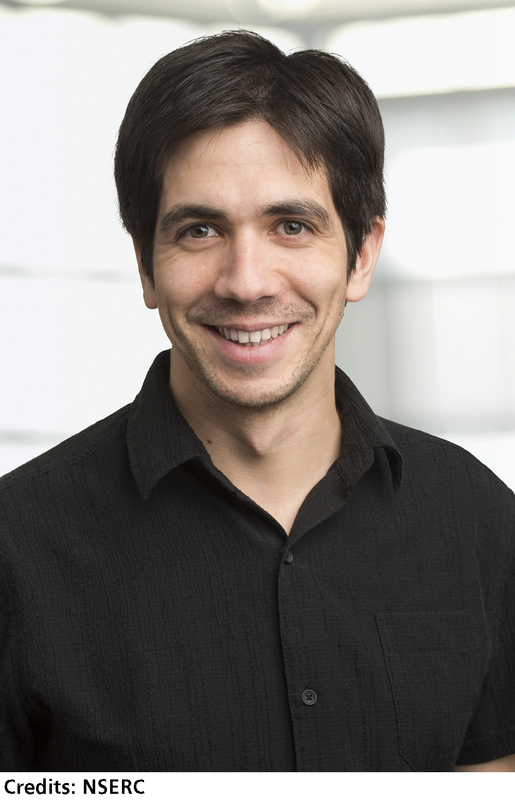 In addition, doctoral candidate Yasser Gidi, working in the chemical imaging lab of Prof. Gonzalo Cosa of the Department of Chemistry, has won NSERC’s Gilles Brassard Doctoral Prize for Interdisciplinary Research. All three prizes will be presented to the researchers at a special ceremony today at the Governor General of Canada’s residence, Rideau Hall, in Ottawa. 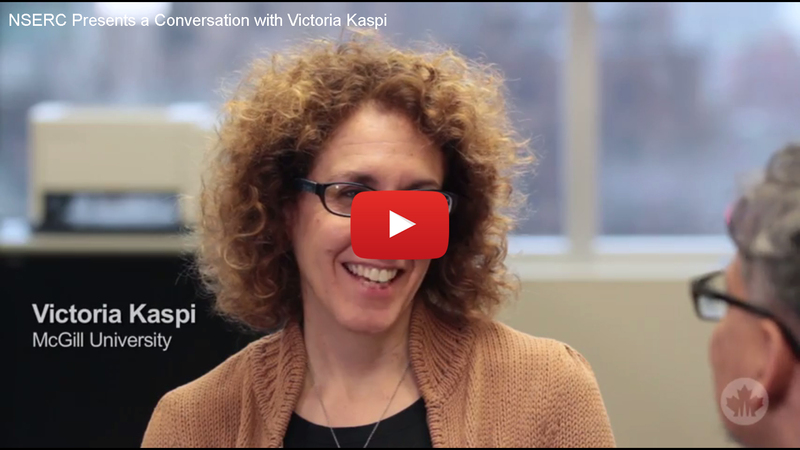 Vicky Kaspi is one of the world’s leading experts on neutron stars, the ancient remnants of the most massive stars in the Milky Way. The most massive stars end their lives as black holes. Less massive stars, however, leave behind celestial objects no bigger than the city of Montreal, yet so dense that just one teaspoon would weigh 100 million metric tonnes. Kaspi uses the largest and most powerful radio and X-ray telescopes in the world to study the physical behaviour of neutron stars, pulsars and magnetars. 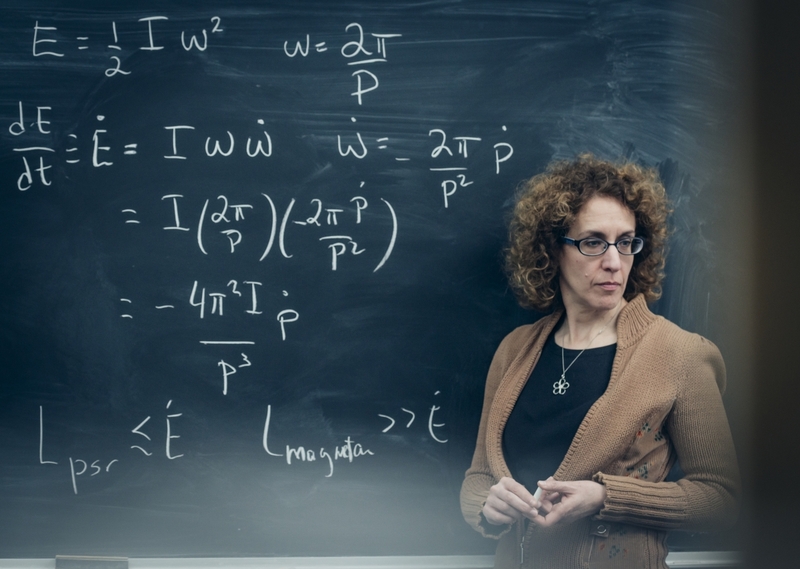 Her seminal research sheds light on how stars evolve, how they die and, ultimately, the very nature of matter under extreme conditions. Kaspi’s research group has had major impacts in the field of astrophysics, including unique tests confirming Einstein’s long-held theory of general relativity and discovering the fastest rotating star. Her team’s 2002 landmark discovery of powerful X-ray bursts from an enigmatic class of stars essentially doubled the number of known magnetars in our galaxy. Growing demands for food, fibre and fresh water are straining nature’s ability to produce these and other essential services, with worrying implications for both people and the environment. 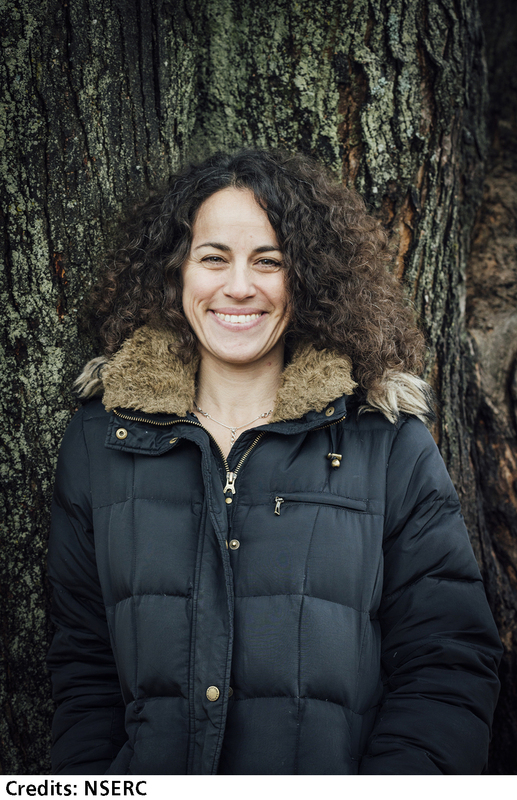 Elena M. Bennett develops approaches to measure, map and model these interconnected ecosystem services to ensure their long-term sustainability. Her work provides practical information and easy-to-use tools that governments, industries and communities need to understand the full ecosystem impacts of planning decisions. These tools help local governments develop land-use plans that, among other things, accommodate the need for development and connect fragmented forests to retain the region’s rich biodiversity. The goal is to balance humanity’s need for a diverse mixture of ecosystem services (e.g. food, fibre, fresh water, recreation, spiritual fulfilment) with our reliance on functioning ecosystems to provide these services in the future. Yasser Gidi has developed a novel single-molecule platform that makes it possible to observe and study proteins that allow life-threatening viruses such as hepatitis C and HIV to reproduce, often mutating into forms that are resistant to known drug therapies. Gidi is effectively creating “movies” of individual biological machines in action, with the goal of understanding how the viruses reproduce and how they respond to drugs. Gidi’s research may provide not only new ways to study viral machineries in general, but also the molecular underpinning of viruses, enabling the design of better treatments for hepatitis C and HIV infections.